July 1st moving day is the busiest time of year for abandoned animals. Many people move where animals aren’t allowed. Zumper is here to help you find housing that accepts animals. Please click on the link and bring your furry family member with you! Don’t leave your loved ones behind. 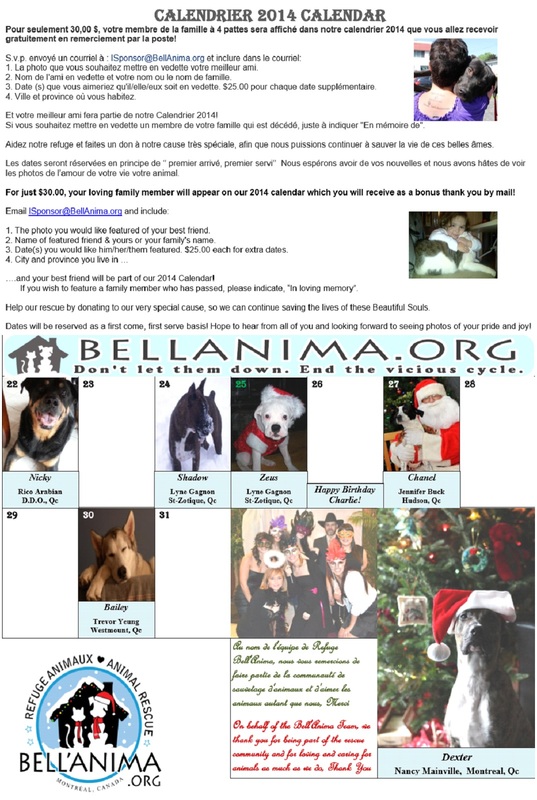 Our 2014 Calendar would make the perfect Christmas gift for anyone! 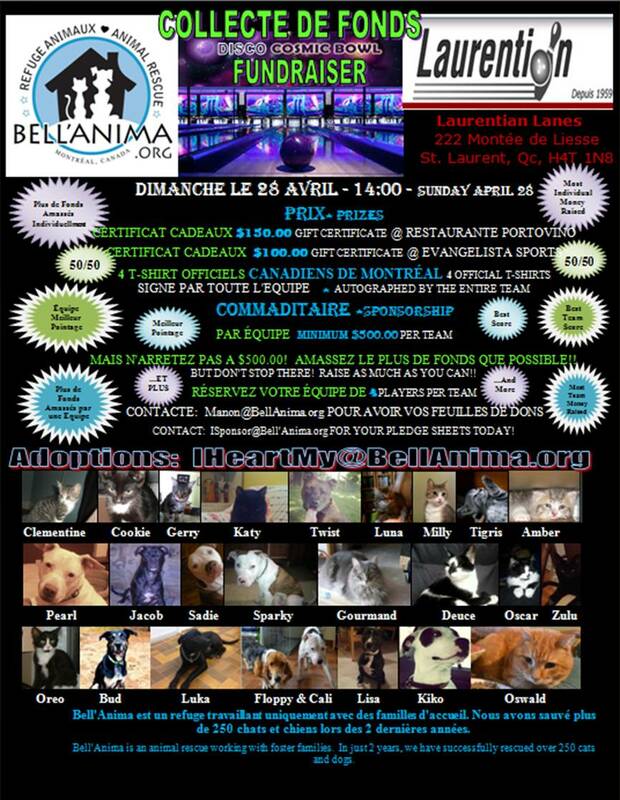 Email ISponsor@BellAnima.org. Deadline is Dec. 1. Dates are first come first serve. Reserve your dates A.S.A.P. as they’re filling up!